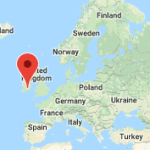 (Waterford, Ireland) – Cask Brewing Systems, makers of the small-scale canning machinery that enabled America’s canned craft beer phenomenon, is now supplying equipment to Ireland’s first microcanning craft brewery. Waterford’s Metalman Brewing Company has just received and installed Cask’s Automatic Canning System (ACS) machine in its microbrewery. 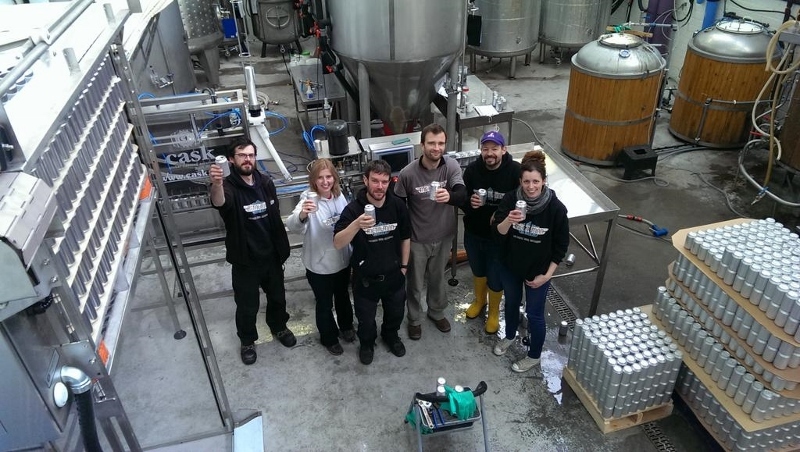 The brewery will launch a series of canned beers on February 1, 2015 and become the first Ireland microbrewer to can its own beer. Based on the growing popularity of canned craft beers in the United States, her distributor’s eagerness is understandable. This year US sixpack and twelve pack sales of canned craft beers are up 89% and 79% respectively, compared to 16% growth for bottled sixpacks and twelve packs. 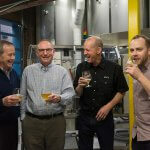 Canned craft beer is the hottest craft beer package in North America,” says Cask founder Peter Love. 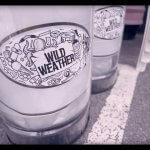 “It’s now taking off in the UK, the handful of breweries canning with our gear there are seeing rapid boosts in sales. 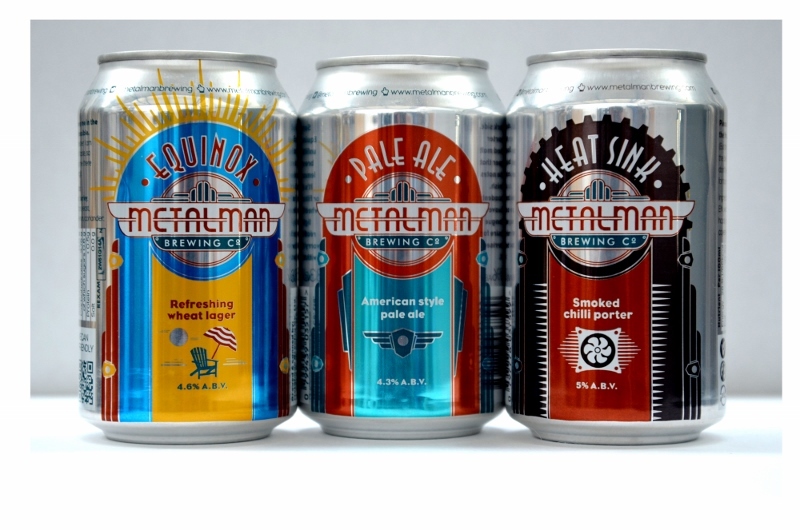 We expect Metalman to see a similar quick success in Ireland with its pioneering cans. Cask’s novel machinery made the canned craft beer revolution possible in the US and around the globe. In 2002 Cask made its first sale to a US microbrewer, Oskar Blues Brewery & Pub, in Colorado, USA. The first US microbrewer to brew and can its own beer, the tiny brewpub quickly became one of the fastest-growing breweries in the US. According to the Brewers Association (the US trade group for craft brewers), today over 10% of America’s nearly 3000 small and independent craft brewers are canning all or some of their beers. 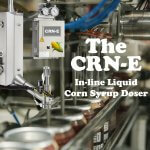 CraftCans.com lists about 1500 canned craft beers from 418 US craft breweries, in a wide array of different beer styles. We did look at other suppliers,” she says, “but they couldn’t tick as many boxes for us as Cask. 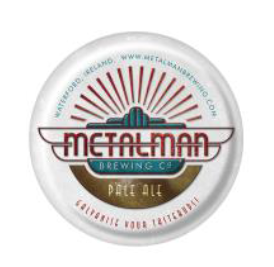 While Metalman will be a microcanning trailblazer in Ireland, Walsh feels her brewery’s customers are ready for full-flavored, small-batch beer in cans. In 2012 Metalman began brewing at its brewery and has completed two expansion projects since then. Metalman employs six people and produces about 15 different seasonal and one-off beers on its 6.5 hectoliter system. Cask Brewing Systems (Calgary, Alberta, Canada) has been providing innovative brewing equipment and affordable solutions for craft brewers for over thirty years. For more details on Cask’s gear and trailblazing history, photos, interviews and other information, contact Marty Jones at 00-1-303-860-7448 (office), 00-1-720-289-9345 (cell) or marty@martyjones.net. Or visit www.cask.com.